I’m loving that fact they are not giving anything away this time around. What could have been some fantastic moments have been ruined by spoilers in the last few years. 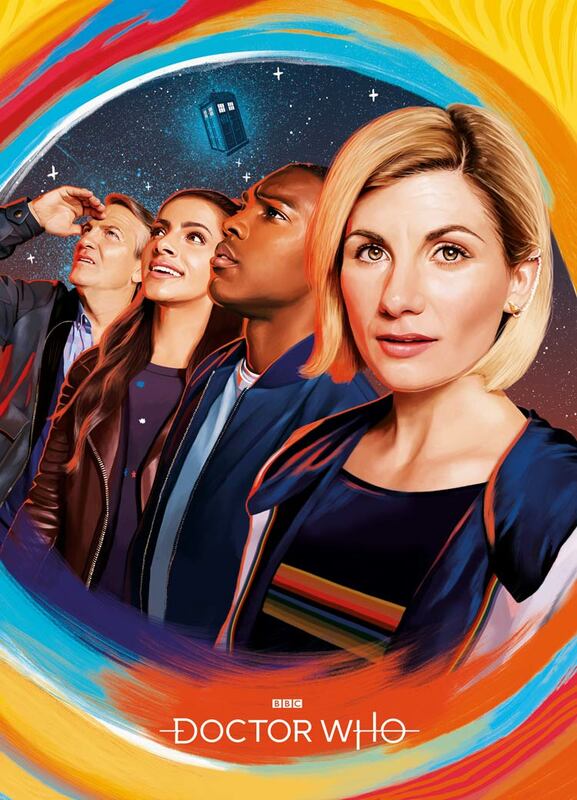 And quite frankly all the suspense of not knowing is making me more hyped for Doctor Who than I have been since the 50th Anniversary. All I ask is for a decent on screen explanation as to why the Doctor has never regenerated into a female body before now and I’ll be happy. I think doctor stu is right because we have had them every year in series 1,2,3,4, waters of mars,5,6,7a, 7b Christmas special,8,9, into to bill clip and 10. So they have been in every year since 2005. Doctor Stu, as i read your post about the Daleks, I got to them being in series 8 and just couldn’t remember seeing them in it. Until I looked it up, “Into the Dalek”, kind of shows how Moffat’s tenure of showrunner went when a fan can’t even remember the most iconic monster in a hugely iconic show. I really hope that Chris Chibnall can bring Doctor Who back to the once great show it was, once again. Love the accent and am anticipating good things to come from this series, a fresh start for our Doctor. No hint about th returning character on there yet so we will have to wait and see but I enjoyed seeing our new doctors first dialogue! Recen series of new who and movie of Star Wars have both shared a lot of the same problems. I think the Daleks not being it this year is a good thing. Last year we got a subplot and an extend cameo from Daleks, the year before that we didn’t have any Doctor Who other than the Christmas special and a teaser clip, which low and behold, a Dalek appeared in. 2015 saw my least favourite Dalek story ever, which was a two-parter. The Daleks are over-used. Personally, I hope Chibnall gives them a break for a while. Doctor Who can survive without the Daleks for a few years surely. Leave the kids to forget that they were defeated by poop and a puddle in the last stories they appeared in and remember the good bits, then bring them back for 13’s last Series finale, make them powerful, scary and have their appearance be impactful. But Chibbers has said that there aren’t any Daleks on set yet, and there are only two weeks of filming left to do, which, unless they are spending the next two weeks filming Dalek scenes, kinda indicates they aren’t in this Series. Each to their own, must say I really liked it.